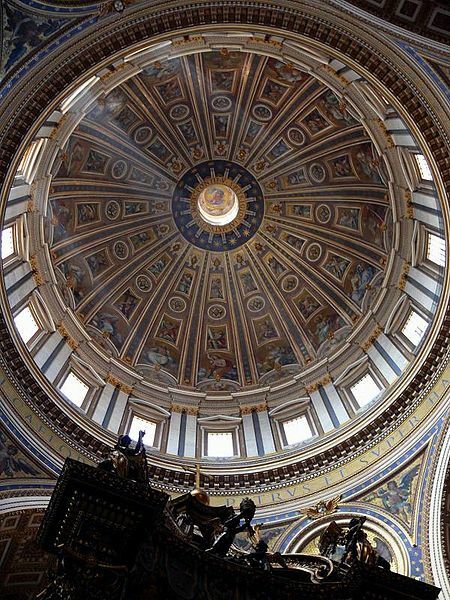 These words from Matthew 16:18 are inscribed on the inside of the cupola of Saint Peters, directly over the high altar. Which, in turn, is directly over the tomb of Saint Peter’s remains below. These are also the words the choir will sing as Pope Francis processes before the tomb of Saint Peter for a moment of prayer before receiving the signs of his Petrine Office, the Pallium and the Fisherman’s Ring. Christ Conquers! Christ Reigns! Christ Commands! For Francis Supreme Pontiff, who gathereth into one all peoples through doctrine, in charity: let there be grace for the Shepherd and obedience for the flock. Saint Peter, Saint Paul, Saint Andrew… the list goes on through all the Apostles. For Francis, Bishop of Rome and Successor of Peter, who today begins his ministry: grant strength, the understanding of the Holy Spirit and sollicitude towards the Universal Church. Saint Linus, come to their aid. 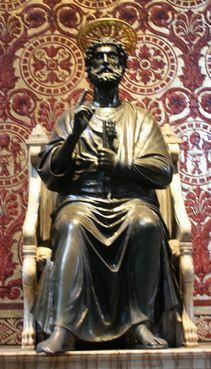 Saint Cletus, Saint Clement I, Saint Sixtus I … The list goes on through the early Popes, up to Saint Pius X (1903-1914). To our governors and all our fellow citizens praying with us: be true peace in their hearts, and fulfillment of their vows. Help of Christians, come to their aid. Saint Mary Magdalene, Saint Stephen, Saint Ignatius of Antioch … the list goes on naming the great Saints throughout the ages. You can download the Prayer Booklet (In PDF) and follow along during the Mass. You can watch live, and in video playback at the Vatican Player.Take these prayers to heart, and pray for our Pope daily. The prayers are listed here, because they are beautiful and with the hope you will take a moment and consider them. O God, who do not disappoint those who call upon you with upright and devout hearts, hear the fervent prayer of your Church and pour forth your blessing upon your servant Francis, our Pope, to whom, through our humble service, you have granted primacy in the apostolic office. May he be strengthened by the gift of your Holy Spirit and worthily exercise his high ministry in accordance with the eminent charism he has received. Through Christ our Lord. 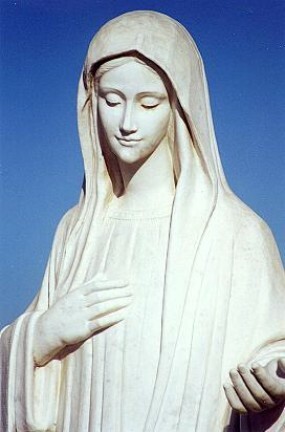 Most Holy Father, may Christ, the Son of the living God, the shepherd and guardian of our souls, who built his Church upon rock, grant you the ring, the seal of Peter the Fisherman, who put his hope in him on the sea of Galilee, and to whom the Lord Jesus entrusted the keys of the Kingdom of heaven. Today you succeed the Blessed Apostle Peter as the Bishop of this Church which presides over the unity of charity, as the Blessed Apostle Paul has taught. May the Spirit of charity, poured into our hearts, grant you the gentleness and strength to preserve, through your ministry, all those who believe in Christ in unity and fellowship. And may almighty God, by his grace, watch over him in his ministry as the Successor of the Apostle Peter and Pastor of the Universal Church. “Forever I will sing the mercies of the Lord” is the hymn that resounds once again near the tomb of the Apostle Peter in this important hour of the history of the Holy Church of Christ. These are the words of Psalm 88 that have flowed from our lips to adore, give thanks and beg the Father who is in heaven. “Misericordias Domini in aeternum cantabo”: is the beautiful Latin text that has introduced us into contemplation of the One who always watches over his Church with love, sustaining her on her journey down through the ages, and giving her life through his Holy Spirit. 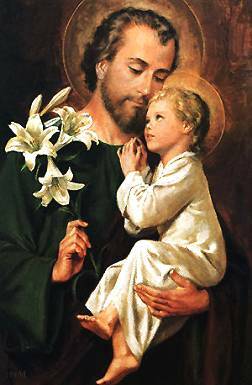 The fulfilment of such a prophecy is fully realized in Jesus, who came into the world to make present the love of the Father for all people. It is a love which is especially felt in contact with suffering, injustice, poverty and all human frailty, both physical and moral. It is especially found in the well known encyclical of Pope John Paul II, “Dives in Misericordia” where we read: “It is precisely the mode and sphere in which love manifests itself that in biblical language is called “mercy” (n. 3). This mission of mercy has been entrusted by Christ to the pastors of his Church. It is a mission that must be embraced by every priest and bishop, but is especially entrusted to the Bishop of Rome, Shepherd of the universal Church. It is infact to Peter that Jesus said: “Simon son of John, do you love me more than these?… Feed my lambs (John 21:15). In his commentary on these words, St. Augustine wrote: “May it be therefore the task of love to feed the flock of the Lord” (In Iohannis Evangelium, 123, 5; PL 35, 1967). The second reading is taken from the letter to the Ephesians., written by the Apostle Paul in this very city of Rome during his first imprisonment (62-63 A.D.) It is a sublime letter in which Paul presents the mystery of Christ and his Church. While the first part is doctrinal (ch.1-3), the second part, from which today’s reading is taken, has a much more pastoral tone (ch. 4-6). In this part Paul teaches the practical consequences of the doctrine that was previously presented and begins with a strong appeal for church unity: “As a prisoner for the Lord, then, I urge you to live a life worthy of the calling you have received. Be completely humble and gentle; be patient, bearing with one another in love. Make every effort to keep the unity of the Spirit through the bond of peace. (Eph 4,1-3). 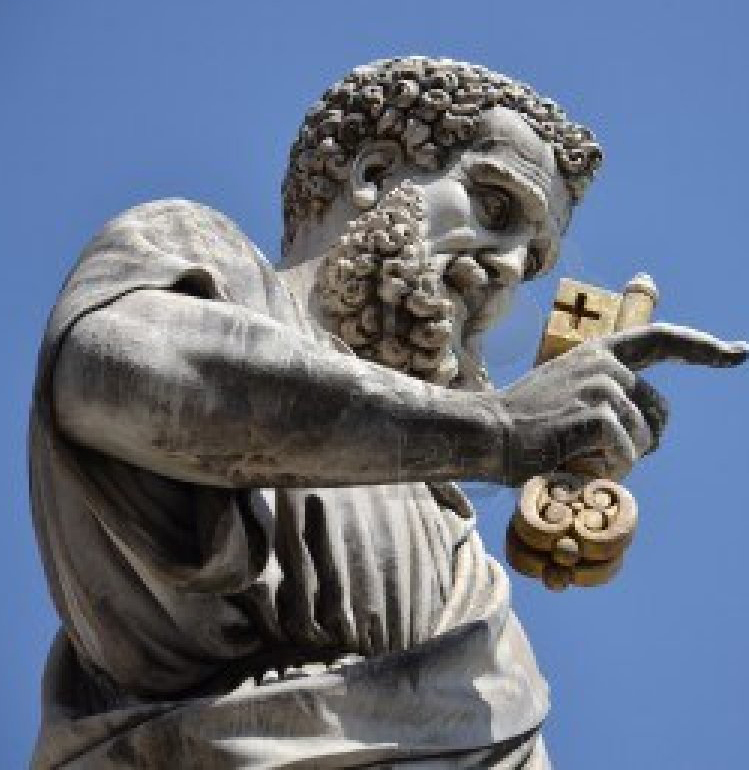 In our text, St. Paul teaches that each of us must work to build up the unity of the Church, so that “From him the whole body, joined and held together by every supporting ligament, grows and builds itself up in love, as each part does its work (Eph 4:16). Each of us is therefore called to cooperate with the Successor of Peter, the visible foundation of such an ecclesial unity. Moreover, this service of charity is part of the intimate nature of the Church. 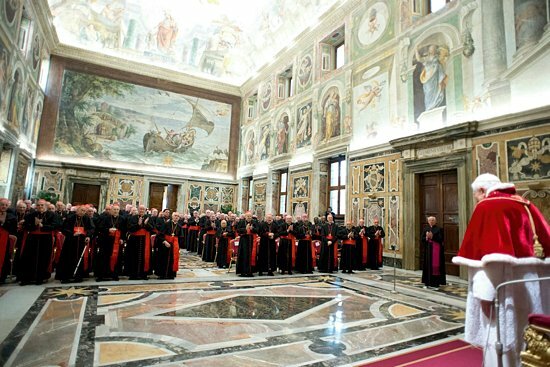 Pope Benedict XVI reminded us of this fact when he said: “The service of charity is also a constitutive element of the Church’s mission and an indispensable expression of her very being; (Apostolic Letter in the form of a Motu Proprio Intima Ecclesiae natura, November 11, 2012, introduction; cf. Deus caritas est,n. 25). If you like to have English translation: EWTN will broadcast live. If you prefer to watch without commentary, the Vatican Radio will also be broadcasting live. 10:00am / 5:00am Solemn Mass for the Election of the Roman Pontiff (broadcast live from Saint Peter’s Basilica).If you wish to follow along, the Booklet is available in PDF at the Vatican Website. 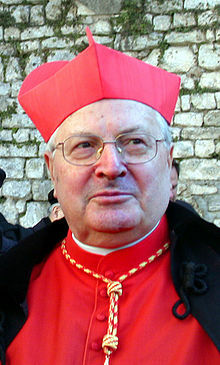 , and the College of Cardinals processing from the Pauline Chapel to the Sistine Chapel at 4:30pm (Rome Time). 4:30pm / 11:30am Procession of the Cardinal Electors from the Pauline Chapel to the Sistine Chapel. The Cardinals will be accompanied in procession with the song of the Litany of Saints. Upon arrival at the Sistine Chapel, the Veni Creator hymn will be sung.The booklet of prayer for this procession and entrance into Conclave is available in PDF at the Vatican website. 7:00pm / 2:00pm The burning of first ballots (if a vote takes place). 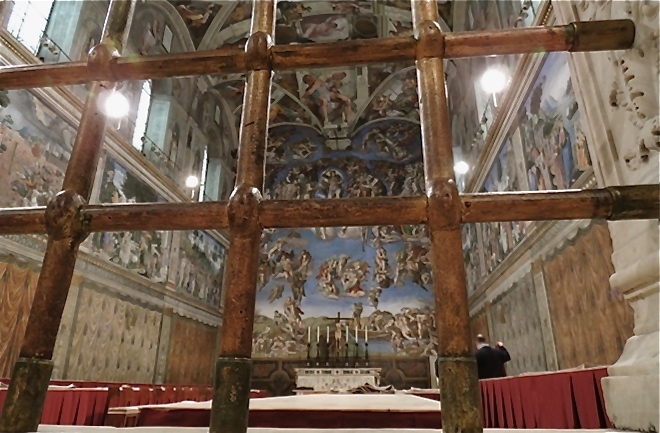 7:15pm / 2:15pm Vespers in the Sistine Chapel. who will please you by his holiness and to us show watchful care. who lives and reigns with you in the unity of the Holy Spirit, one God, forever and ever.Amen. “Thank you, thank you from my heart. I am happy to be here with you, surrounded by the beauty of Creation and your friendship that does me so much good, thank you for your friendship, for caring. You know that today is different from others… as of eight pm I will no longer be the Supreme Pontiff of the Catholic Church. I will simply be a pilgrim who is beginning the last part of his pilgrimage on earth. But with my heart, my love, my prayer, with all my interior strength, I will work for the common good and the good of the Church and all humanity. And I feel greatly supported by your affection. Let us move forward together with the Lord for the good of the Church and the world. Papa Benedetto, ti Ringrazio! Pope Benedict, thank you! And may the Lord continue to allow you to be a blessing to us all! Together we repeat a typical expression of your dear native land “Vergelt’s Gott” God reward you! 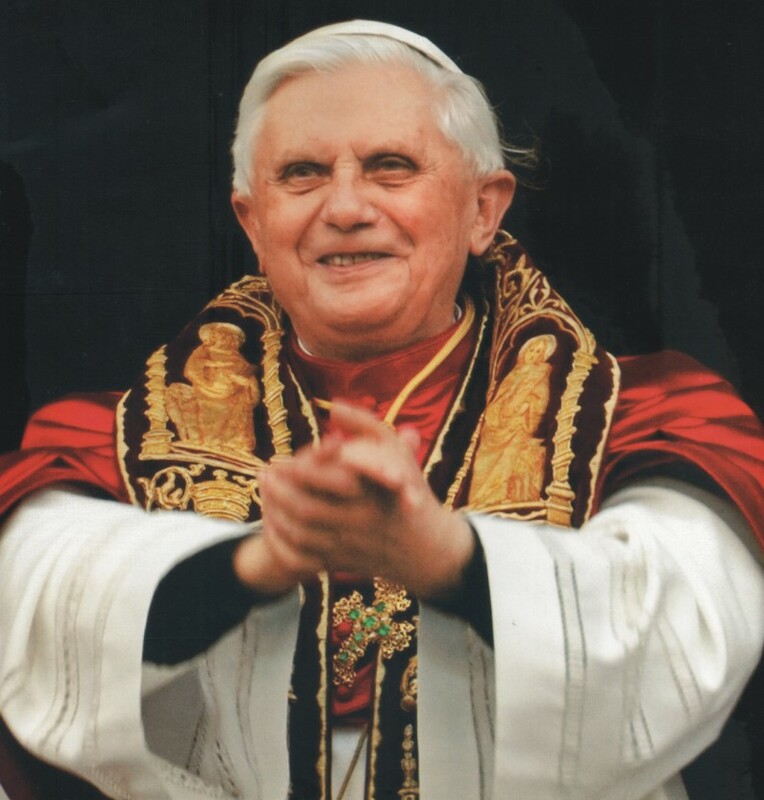 Let us continue our prayers for Pope Benedict XVI, and the electing Cardinals that in the words of the Holy Father, may be docile to the Holy Spirit in the coming days. Robert Frost’s famous poem was instrumental in the shaping of my early adulthood. It seemed to me a mystical thing to stand at a crossroad and look down each fork as far as one could see, deciding which of the two to choose. This image is the one I looked to in carving out my own religious calling. I could have chosen a great number of things, and as I whittled through my choices, I found a wanting to follow the Lord. The first steps down that path seemed well worn by the many who had gone before me. Yet it seemed more edgy and rough compared to the path of my friends; an uncertainty hung there that frightened me and yet compelled me to look at it more closely. The evening I entered the Canossian Sisters, I recall how new everything seemed. A new page was indeed beginning as I learned how to live in a community of women of different cultures (my first community comprised of one Filipino, one Chinese, One Mexican-American, three Mexicans and myself of deep California-American roots). Just as Frost hints at the starting down that un-trodden path, my stepping the threshold of the Postulant house left me changed. There is one mistake I made in my own estimation of this first step. I thought the hardest part of my journey was the decision to enter. What I have learned – what should have been obvious – is the first turn off the beaten path was only the first of many choices; the journey only begins with that first step where the undergrowth is thickest. God woos each of us, His beloved, slowly and gently pulling us by the hand at our own pace to wade ever deeper into His love. My journey to follow Christ more deeply into the abyss of His love has so far to go. Thankfully, God is patient to present the invitation to each of us to enter the Portal of His love in our life of prayer, Sacramental life, and community. It is a very generous act. One where Pope Benedict’s impact on the world is just beginning. Please read The Anchoress’ take on Pope Benedict’s call to that which is essential in the life of the Baptized. 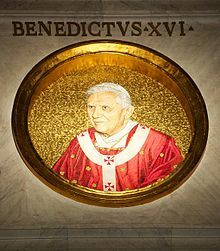 The news of Pope Benedict’s resignation brought me to think of so many reasons why I am grateful for the gift of his Papacy. My earliest memory (and one of my favorites) follows. I would be very interested to hear yours! Comment away! So many memories! I was in Saint Peter’s Square at the announcement that Card. 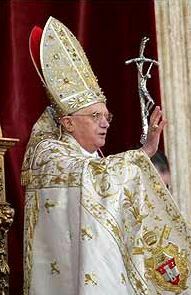 Ratzinger was elected Pope. I was next to a Jew and a Muslim. And both of them began jumping up and down hugging each other, and me, shouting, “We have a Pope! 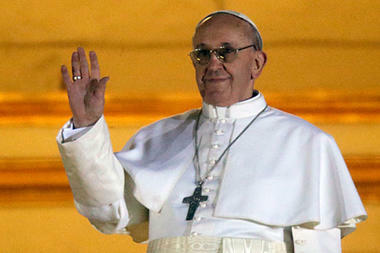 We have a Pope!” In that moment, I knew that Unity and respect in diversity is possible! :) Thank you Pope Benedict! And you? What’s your favorite memory?